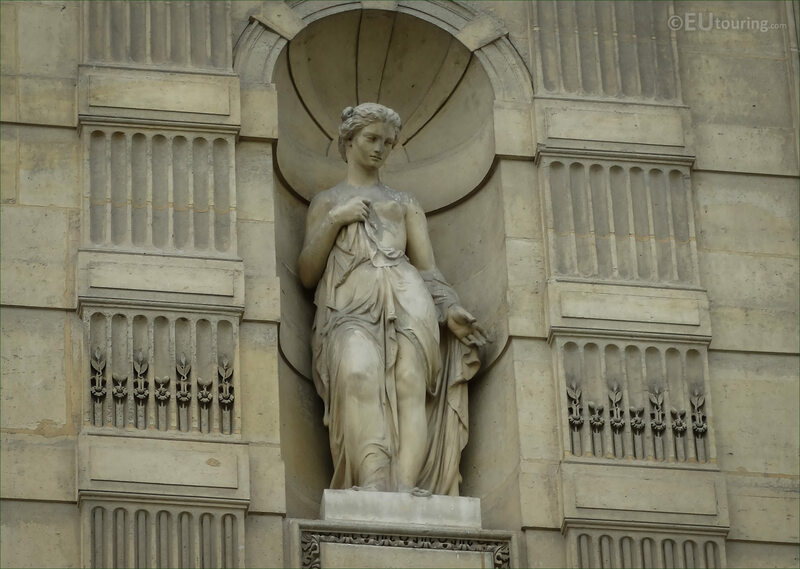 This time while we were at the Musee du Louvre in the 1st Arrondissement of Paris, we took these high definition photos showing a statue called Psyche, Goddess of the Soul, which was sculpted by Joseph Pollet. 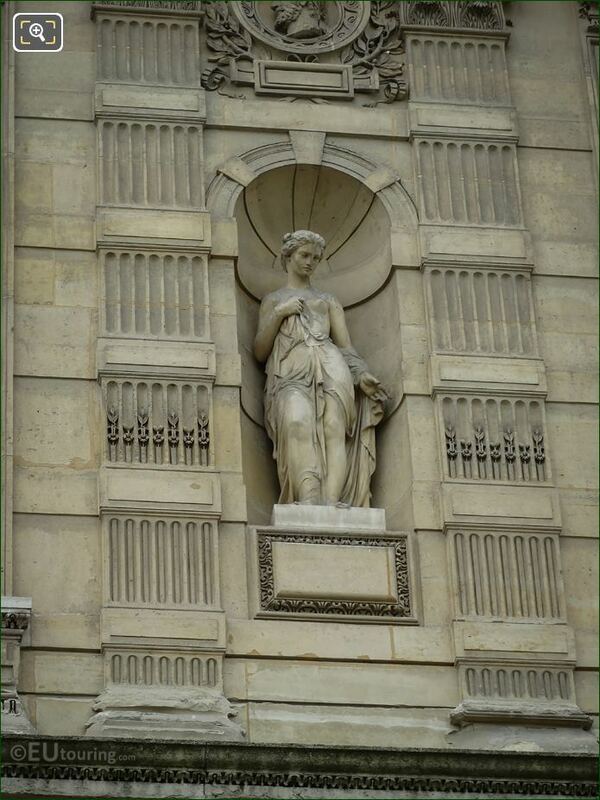 So this stone statue called Psyche is located on the Aile de Flore wing of the former royal palace, and when you are looking at the facade from the Cour du Carrousel courtyard, you will find this on the second level, virtually in the middle, or to be more precise, the eighth statue from the left hand side. 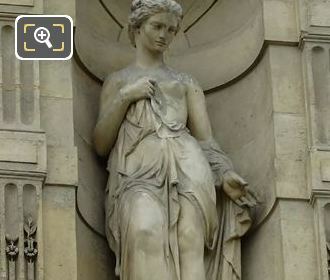 Now this HD photo shows a closer view of the statue called Psyche, which is based upon a former mortal woman and Goddess of the Soul in Greek mythology, who was the wife of Eros and the mother of Hedone. And this was produced by Joseph Michel Ange Pollet who was born in Italy in 1814 but to a French family, and so he initially studied in Rome before deciding to move to France and started presenting at Paris Salons, being awarded the Legion of Honour in 1856.